Did you ever wonder how it is that mushrooms can grow in the wild perfectly well without any protection from "contaminants," but in the laboratory, they are always falling victim to mold and bacteria? Traditionally, the answer has always been: they got contaminated. You may have had air filtration in place, pressure sterilized your substrate, washed down the floors of your grow room with bleach, maybe even added peroxide to the substrate. But once the wrong organisms got in (so the story goes), your mushroom mycelium didn't stand a chance. According to this view, fungi are frail, wispy organisms that will get sick and die if we so much as breathe on them. But it turns out that mushrooms are not the weaklings of the biological world--on the contrary, they are robust and vigorous organisms, and given the right conditions, they will grow and thrive despite the presence of all the usual "contaminants." In recognition of this new understanding, I have developed an entirely new method of growing mushrooms on nitrogen-enriched sawdust or chips. I call it non-sterile cultivation. 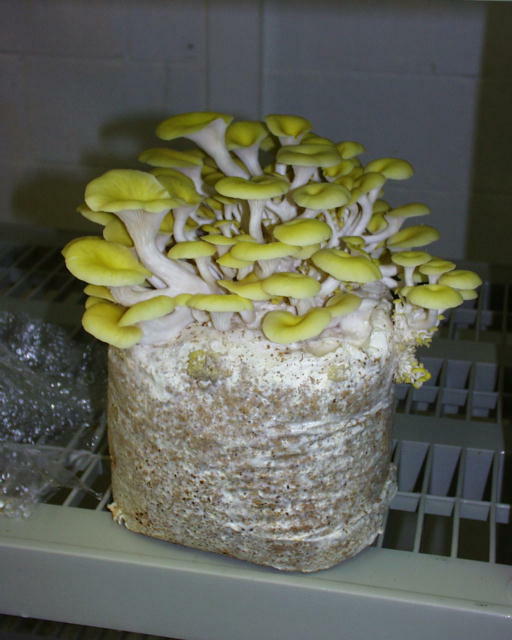 Non-sterile cultivation is a non-peroxide approach for growing healthy fruiting cultures of gourmet wood-decomposing mushrooms despite exposing the substrate and cultures to "contamination." As the name implies, the method doesn't require any sterilization of the substrate, or any measures to keep contaminants out of the cultures. Prepare as much substrate as desired; amount not limited by size of autoclave, etc. Use standard nitrogen-supplements such as good-quality bran without sterilization. Like the peroxide method, the new approach was patentable, but I have decided not to patent it, and instead to make the invention available to the public in an instruction manual. The manual is titled Non-Sterile Mushroom Cultivation. This manual is not an introduction to mushroom growing--it assumes you know the basics of growing common edible mushrooms and that you have a standard reference text such as Paul Stamets' Growing Gourmet and Medicinal Mushrooms. The manual is 19 pages long. Other than standard oyster mushrooms, I've grown Hericium erinaceus (Lions' Mane) without difficulty with the new method in standard size pellet fuel blocks, and I've grown smaller mycelial cultures of shiitake, almond mushroom, and almond portabello in pilot experiments. I don't yet know whether cultivation of these latter species will be practical in larger quantities. Although simple, the method is not recommended for beginning mushroom growers--you'll need some prior mushroom-growing experience to use it effectively. Not recommended for areas of very hot or cold climate, unless you have a good temperature-control system in place. Not recommended for outdoor growing. The method is effective for woody substrates only--it does not work with grain, agar, coffee pulp, grasses, etc. Although the method simplifies preparation and handling of cultures, it narrows the range of woods and growing conditions that can be used successfully with a given mushroom species. Raw sawdust, or kiln-dried sawdust stored in damp conditions, requires a brief heat treatment before use.